PayPal rewarded shareholders in 2016 with decent gains. Given these three potential catalysts, its performance this year might be even better. Investors in PayPal Holdings Inc (NASDAQ:PYPL) didn't have much to be disappointed about in 2016. PayPal's stock price opened the year at just a shade over $35 and closed 2016 with a share price just below $40. For long-term investors who held the entire year, this represented a tidy gain of about 12.5%. PayPal's business performance mirrored that of the stock price. In the company's most recently reported quarter, revenue was up 18% and non-GAAP earnings per share were up 14% (both year over year). Perhaps more importantly, the number of active accounts grew to 192 million, up 11% from the year before, and transactions per account increased to 30.2, up 13%. Of course, all this is looking to the past. What PayPal investors really need to know is how the company will perform going forward. With that in mind, here are three possible catalysts for PayPal's stock in 2017. Venmo, PayPal's peer-to-peer payment app, is hugely popular with millennials, who use it continually to split pizza among friends and share Uber fares. In 2016's third quarter, Venmo processed $4.9 billion in payment volume, up 131% year over year, and up more than 22% from the prior quarter. PayPal obviously doesn't have a problem driving user growth on Venmo. The company's dilemma has been to find ways to make a profit through the app without jeopardizing its popularity. PayPal management believes the solution is Pay with Venmo, a program that allows Venmo account holders to make purchases from participating merchants. At the beginning of 2016, PayPal reported approximately 550,000 Venmo users were participating in the program. By the end of the year, it was available for all Venmo users. PayPal management has said they are actively growing the merchant base for the program. 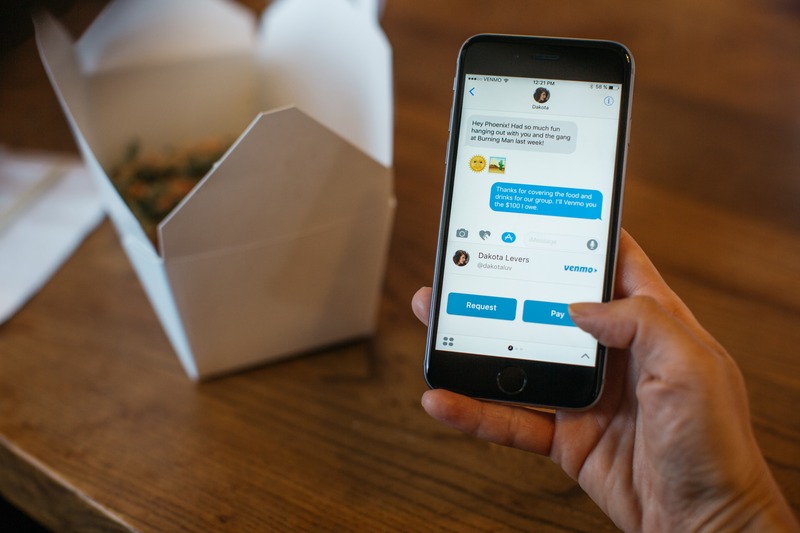 Early data is encouraging: CEO Dan Schulman said in the company's third-quarter conference call that account holders who use Pay with Venmo are 30% more engaged than other Venmo users. Given its popularity, any method the company finds to monetize Venmo could prove to be a financial boon. PayPal's One Touch allows account holders to authenticate their accounts the first time they use the platform to make an online purchase, and then skip the log in process in subsequent uses. Consumers love the product because it saves them the time and hassle of retrieving their usernames and passwords and entering in all other pertinent information for every single purchase. Retailers love the product because it crushes the competition at online sales conversions. According to a comScore study released last April, PayPal's One Touch converts an astounding 87.5% of all customers who enter a payment method during an online checkout process into an actual sale. The closest competitor converted 51%. It's no wonder that One Touch is the most rapidly adopted product in PayPal's history. One Touch is now available in over 200 markets. In PayPal's third-quarter conference call, Schulman stated that 32 million consumers and more than 4 million merchants were using the product. By the end of 2016, Schulman projected that would increase to 36 million consumers and 5 million merchants. E-commerce is PayPal's bread and butter. With the rapid adoption and use of One Touch, PayPal could well continue to dominate this arena for years to come. In November 2015, PayPal completed its acquisition of Xoom, the international remittance company. In the third-quarter earnings report, PayPal announced the addition of 10 new countries available for the Xoom platform. This means Xoom's domestic customers can now send money to friends or loved ones in over 50 countries. In 29 of those countries, Xoom recipients can now send requests for money or bill payments. Consumers also can now link their PayPal and Xoom accounts, a move that should drive account growth for both platforms. In the 2016 first-quarter conference call, CEO Schulman acknowledged Xoom was currently "margin dilutive" and would likely remain so for the rest of 2016. In the third-quarter call, he again admitted Xoom had been a "drag on our margins." 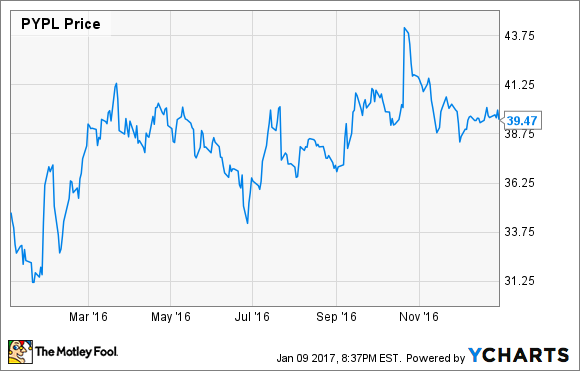 But, he stated, he fully expected Xoom to "start generating more significant profits in 2017." Given the additional countries available to the platform, the new request feature, and the integration of PayPal and Xoom accounts now available, I wouldn't bet against that prediction this year.